January 14 2018, Orsay, France and Seoul, South Korea. Imagine Eyes® announces a new business partnership with Aracare™. Both companies signed an agreement that appoints Aracare as the exclusive distributor of Imagine Eyes’ rtx1-e Adaptive Optics Retinal Camera in South Korea. 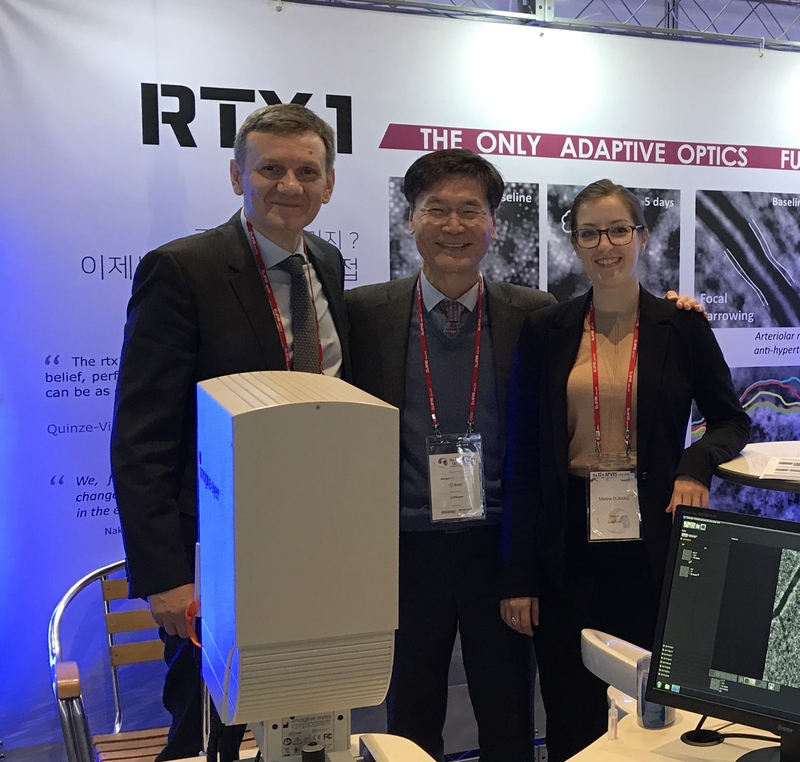 A few weeks ago, Aracare and Imagine Eyes exhibited the rtx1-e for the first time in Korea at the Asia-Pacific Vitreo-Retina Society congress in Seoul. After receiving enthusiastic feedback from Korean retinal specialists, the new partners initiated the product’s certification process in Korea. Imagine Eyes is a recognized pioneer in cellular-resolution retinal imaging. Its breakthrough products enable doctors to examine the back of the eye with unprecedented detail, in order to detect early signs of diseases and better adapt treatments to patients. Such unique performance is provided by adaptive optics, a technology that Imagine Eyes’ engineers derived from astrophysics. Aracare was established by Dug Young Suh in 2010, after 25 years of experience in the healthcare industry. The company identifies providers of the most advanced medical devices, pharmaceuticals, and health services in the world, and introduces their products in Korea. Aracare thrives in the ophthalmology market by distributing leading-edge technologies and surgical solutions with high quality of service, building strong links with universities, regulatory bodies and reimbursement agencies. Click here to learn more about Imagine Eyes. Click here to learn more about Aracare Inc.